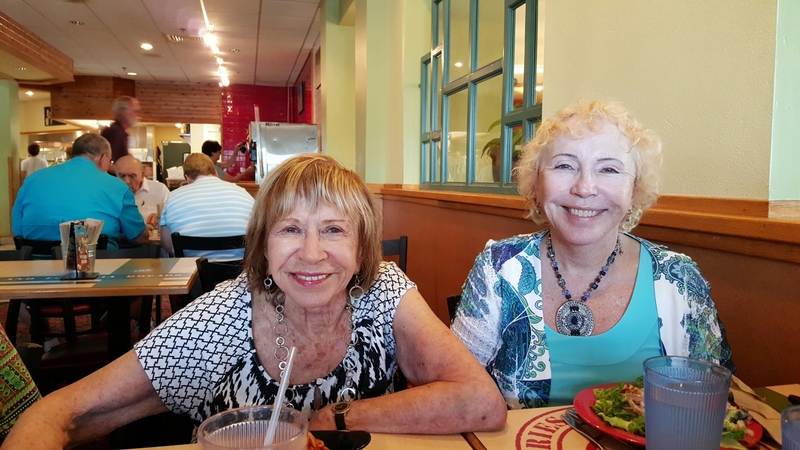 Sonia with Bishop Bridget Mary Meehan, who is with the Association of Roman Catholic Women Priests, at Sweet Tomatoes restaurant on South Tamiami Trail in Sarasota on May 28, 2016. Earlier Sonia had attended a service with Bishop Meehan of the Mary Mother of Jesus Inclusive Catholic Community at St. Andrew Church of Christ. Bishop Meehan and these organizations fight for equality in the Catholic Church, including the ordination of women.